In the famous Anapanasati sutta, or, for those who don’t read Pali, the Discourse on Mindfulness of Breathing, the Buddha begins his meditation instructions by describing the way the meditator should sit. [The meditator] … sits down folding his legs crosswise, holding his body erect, and setting mindfulness to the fore. If you’d like to share this infographic on your own site, simply use the embed code below (highlight the code in the box, copy it, and then paste it on your site). 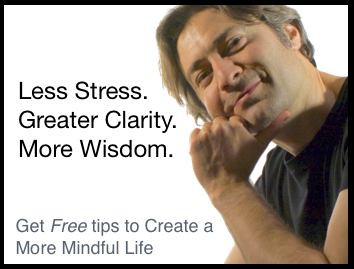 Please include attribution to 30daysofmindfulness.com with this graphic. 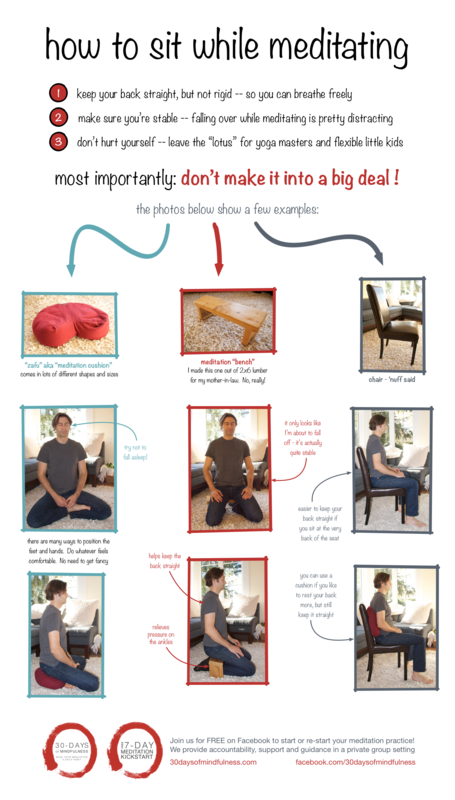 What’s your take on sitting posture during meditation? 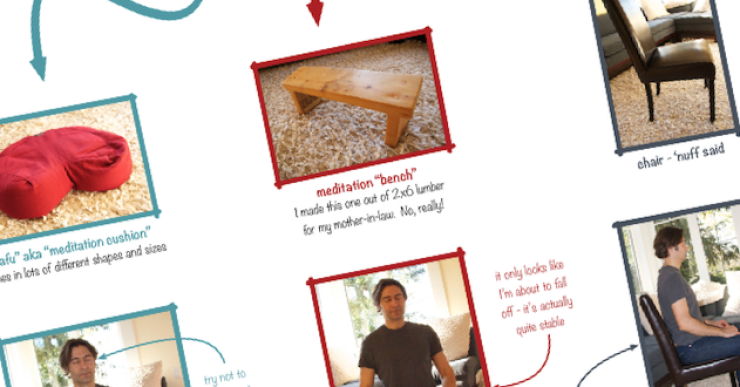 Do you use a cushion, bench, chair or something else? Leave a comment below and let me know! It may be crazy… But I find my bathroom very quiet and after my evening routine could sit on my toilet seat – hard surface with the lid down and meditate. :). Funny I know…but it works for me so far.